Our treatment centre offers ayurvedic and naturopathic consultation, ayurvedic massage & therapies and esoteric acupuncture. The combination of ancient ayurvedic wisdom and the latest in complimentary medicine combine powerfully in our result-oriented clinic. We treat a range of conditions including digestive complaints, type 2 diabetes, hormonal imbalance, chronic fatigue, asthma, arthritis, psoriasis, eczema, allergies and back pain. We are passionate about providing natural, evidence-based health care for the maintenance of vibrant health and wellbeing. Our aim is to empower our clients with a complete approach to creating a healthy lifestyle. ​​Our senior practitioner, Wayne Celeban holds a degree in complementary medicine and his qualification in ayurvedic medicine was received from one of the leading Ayurvedic colleges outside of India. Wayne has also completed post graduate studies in India at the famous DM Ayurvedic Hospital and College. Upstairs we have a tranquil therapies centre where you can experience traditional ayurvedic massage. These treatments were developed for royalty and have been practiced over 1000’s of years. They are naturally luxurious using warm, herbal infused oils and have a profound effect on the mind and body. Our body therapies include the use of 'Yukti Botanicals’ herbal infused massage oils. Ayurvedic oils are produced using an unique process and contain up to 60 medicinal plants. This process extracts the medicinal qualities of the herbs while altering the molecular structure of the oil. According to the ancient texts this reduced particle size enables the oil to permeate the layers of the skin and improving the absorption of the active ingredients. As well as nourishing the body, these traditional oils help to draw out impurities. 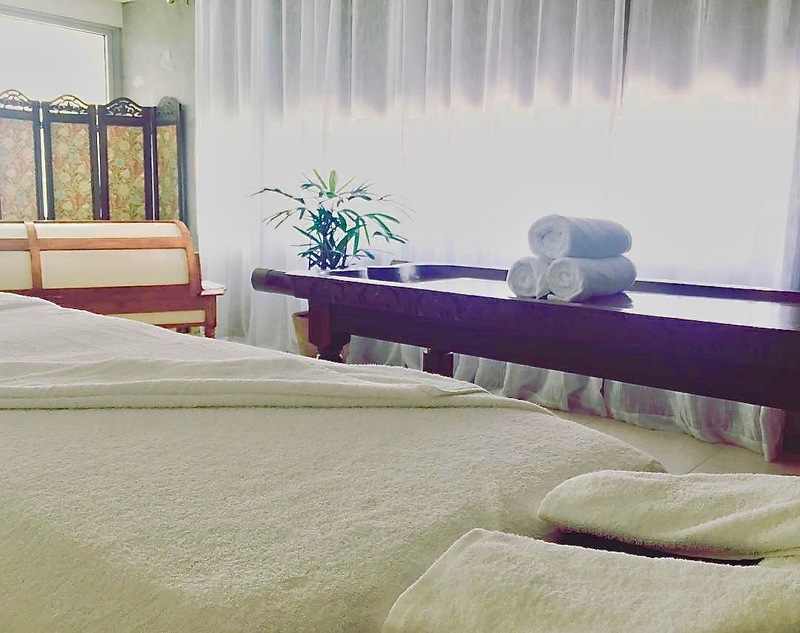 Our traditional steam bath further enhances this process by accelerating passive diffusion, increasing circulation and allowing the toxins to move gently up through the skin while also enhancing the absorption of the medicinal qualities. Enjoy a single treatment or experience our detox and rejuvenation packages designed to bring about deep, lasting change in the body.